A philanthropic partnership between Music Generation, U2 and the Ireland Funds (with the support of Bank of America Merrill Lynch and the Stavros Niarchos Foundation) remains as strong today as when it started nine years ago. One of the measures of its success has been the commitment by the Irish Government to fund the national music education programme for children and young people going forward. The Music Generation scheme – which aims to transform young people’s lives by providing access to high quality and affordable performance music education locally – was piloted by Music Network in 2003 and then independently evaluated as a workable and practical framework for the whole country. Despite efforts since the 1930s to initiate a publically supported system for music tuition, research carried out by Music Network revealed that the provision of music education in Ireland was one of the lowest in Europe. When the economic crash put the brakes on government support for a plan to roll the Music Network pilot out nationwide, U2 stepped in with a €5m philanthropic donation and the Ireland Funds, with support from Bank of America Merrill Lynch, donated €2m to bring the total initial investment to €7m. 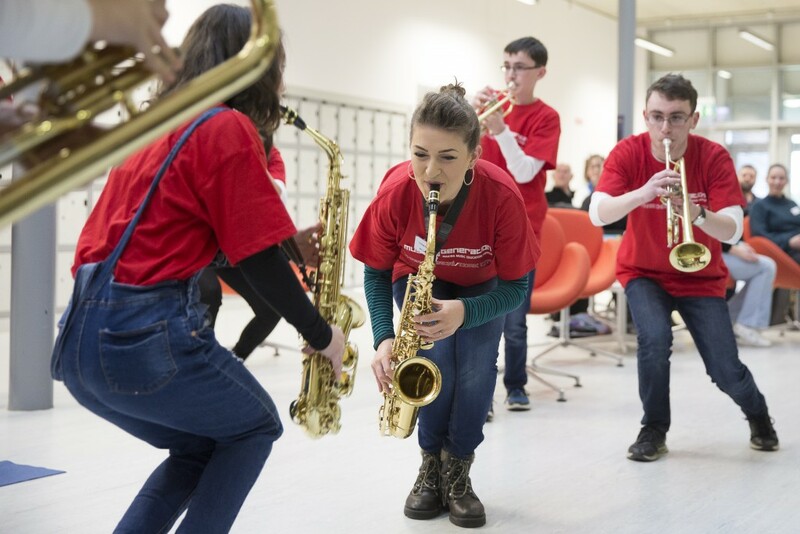 During phase one of the programme, Music Generation was established in 12 local authority areas in Ireland (Carlow Clare, Cork City, Laois, Limerick City, Louth, Mayo, Offaly/Westmeath, Sligo, South Dublin and Wicklow). Following a further donation in 2017 of €6.3m from U2 and the Ireland Funds, again with support from Bank of America Merrill Lynch, phase two is currently underway and is on track to add 10 new areas by 2021: Cavan/Monaghan, Dún Laoghaire-Rathdown, Galway City, Galway County, Kilkenny, Leitrim, Roscommon, Waterford and Wexford. In 2013, the Department of Education committed to providing long-term co-funding of the programme along with local music education partnerships. At the end of last year, on the back of the success to date, the Government announced it would support the expansion of Music Generation nationwide by 2022. Other countries are now looking at the Music Generation model. “It’s very cost effective: philanthropy can kick it off and government can come in when it’s a proven process,” says Fottrell.